A founder of The Innova Group, Kevin has over 30 years of experience in the healthcare industry. He enjoys the give-and-take of questions and ideas in collaborating with colleagues and clients. Kevin takes deep satisfaction in creating unique solutions that maximize the client’s ability to achieve their goals while overcoming the limited resources of capital and personnel. 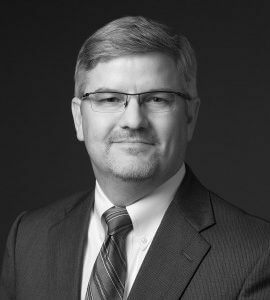 As a leading-edge thinker, Kevin has directed The Innova Group’s participation in a variety of Department of Defense projects. His planning solutions have led to improvements in the military health system, bringing consistency to a care model that demands access and efficiency, while addressing the needs of medical readiness. Kevin prides himself on continuously seeking knowledge and refining the tools of his trade in pursuit of more effective and innovative planning strategies.